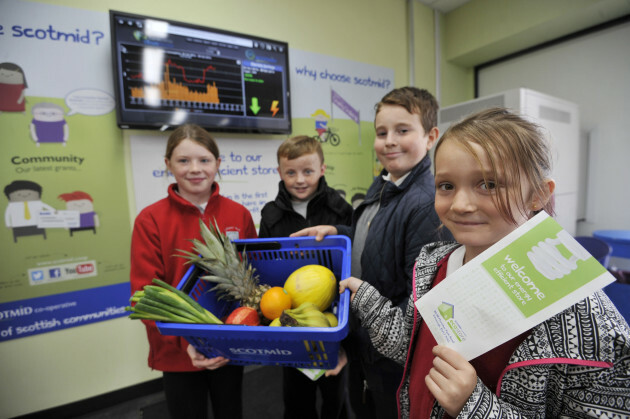 Eco council pupils from Craigour Park Primary School visited the new store. "From lighting that turns off when it’s sunny outside, to drinks fridges that only switch on during licensing hours, we've introduced as many energy saving measures as possible into the store." Scotmid Co-operative unveiled its new energy saving store in Moredun in Edinburgh today (Friday, 3 October 2014) – one of the first and most innovative major sustainability retrofits in the UK. 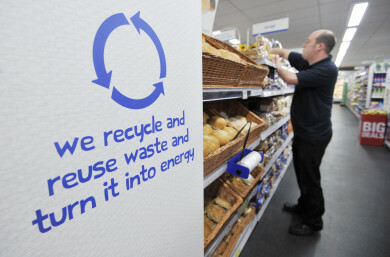 Eco council pupils from Craigour Park Primary School were joined by representatives from Zero Waste Scotland and other dignitaries for the first look at the energy efficient store. 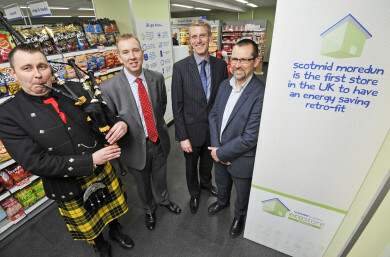 John Brodie, Scotmid CEO; David Still, CBES MD; and Iain Gulland, Director of Zero Waste Scotland. Scotmid Moredun has been fitted with a range of state-of-the-art technologies to reduce energy consumption. 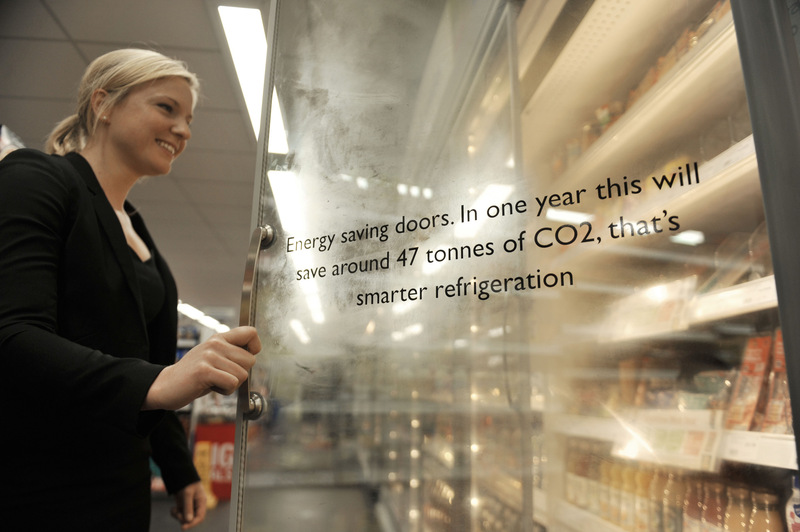 At the heart of the store’s eco innovations is a sophisticated building management system, which uses real-time data to make efficient use of its resources – such as lighting, heating and refrigeration. 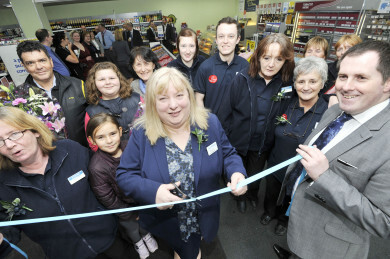 Store Manager Rose Spence cuts the ribbon to open the store. The store’s lighting uses special sensors near the windows to automatically adjust to natural light levels outside – switching off when it is sunny and turning on when it is dark to save energy. The lights have also been upgraded from fluorescent to LED dimmable fittings, to reduce energy consumption, and will switch off when certain areas of the store are not in use. 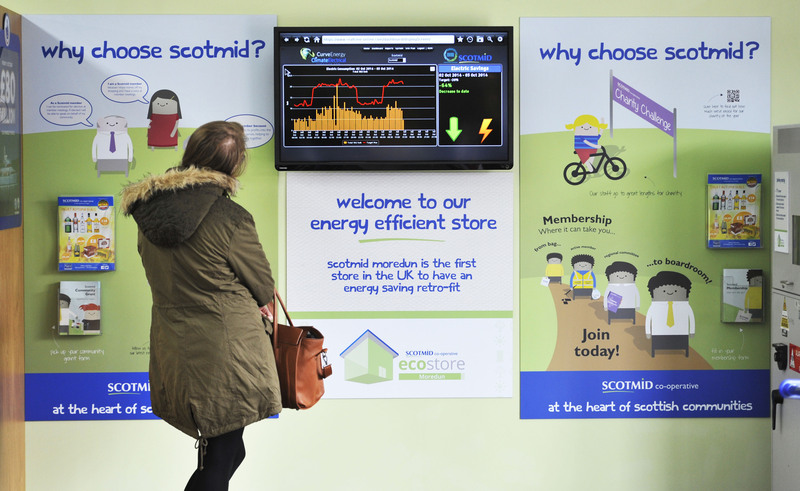 Efficient heating and heat recovery are other key parts of Scotmid Moredun’s green credentials. The heat generated by the fridges is recovered to help heat the building, while an air curtain blows out ambient air to stop heat from escaping when the store doors open. All of the fridges have doors to improve their energy efficiency, and are programmed to switch off when alcohol is not for sale to conserve energy. Even the store’s ATM has been fitted with energy efficient LED lights. As well as the new energy saving measures, Scotmid Moredun will be home to a modernised post office, offering customers access to Post Office services seven days a week, from 7am – 10pm. 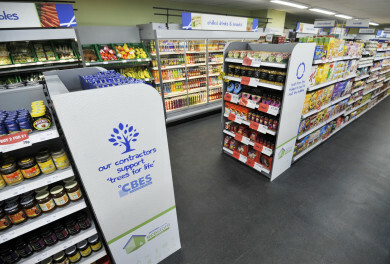 The service will be provided from three counters, including a modern open-plan position, a secure fortress position and a combi-counter, where the Post Office terminal will sit alongside the shop’s till. The project has received support from Zero Waste Scotland, through its Resource Efficient Scotland initiative; Post Office Limited; and contractors CBES, Climate Electrical Services Ltd, Curve Energy Ltd, KB Refrigeration and Thermal Image UK. 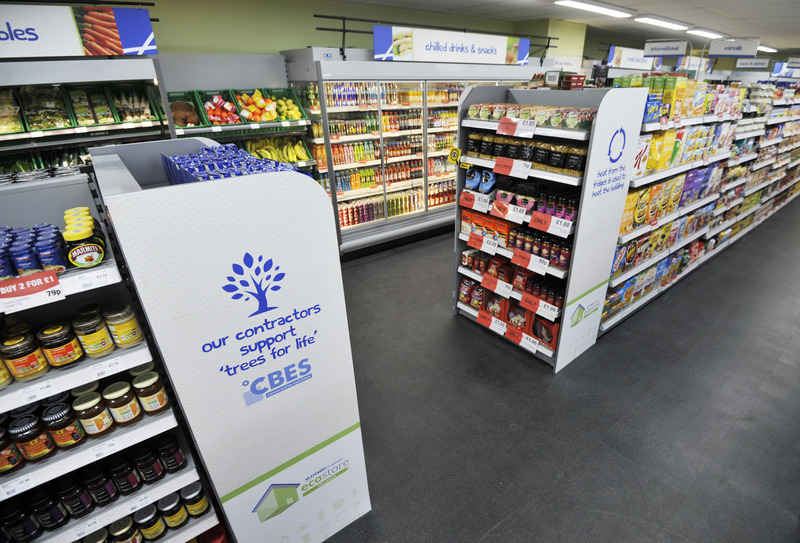 CBES, Scotmid’s building contractor, minimised the waste during the construction, and recycled and reclaimed as much as possible to reduce the carbon footprint.